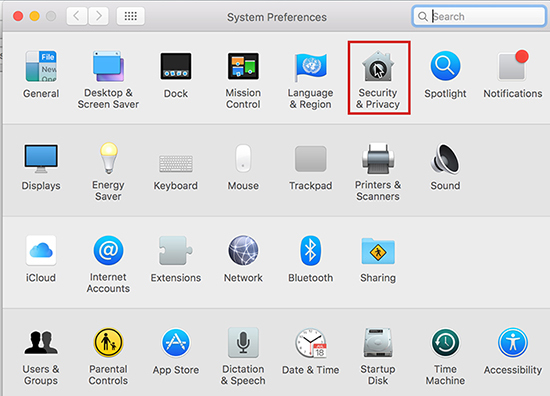 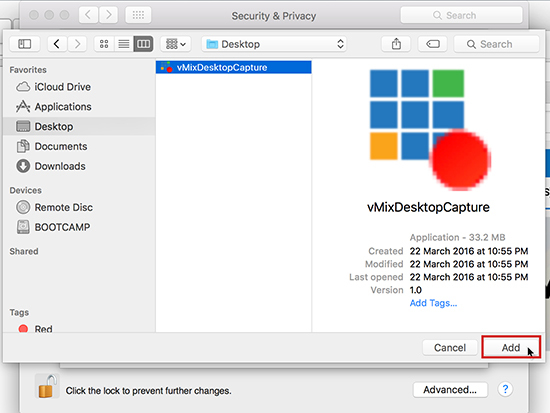 If your vMix Desktop Capture application for Mac is not being detected correctly in vMix, it may be that the application is being blocked by the Mac Firewall. 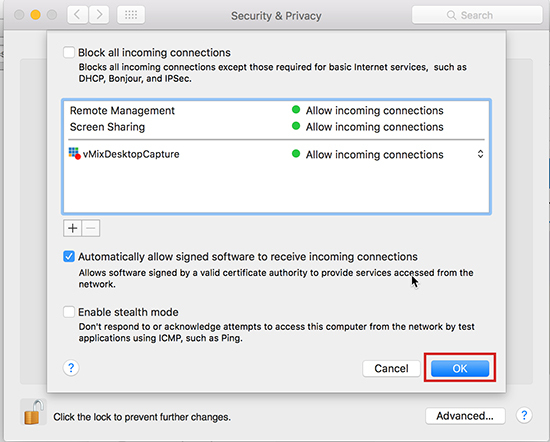 Follow the steps below to ensure that the vMix Desktop Capture application is allowing incoming connections in the Firewall settings. 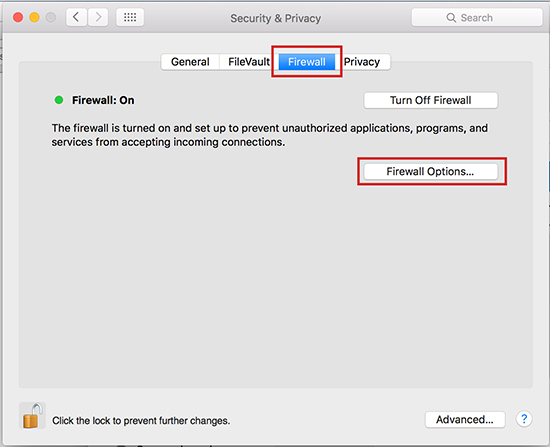 Select the Firewall tab. 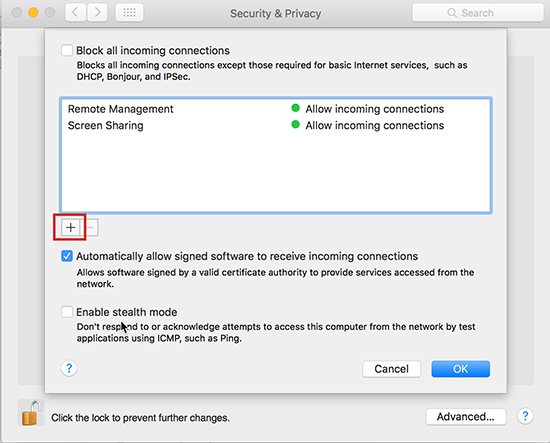 If the Firewall is enabled, click the lock in the bottom left corner to make changes and then select "Firewall Options"
Make sure this says "Allow incoming connections" and click OK in this window and click the lock in the previous window to save.